Hi, I’m Stephanie, I have taught pilates professionally since 2003. My credentials include a BS Exercise Science, ACSM-CPT, PMA-CPT, ELDOA practitioner levels 1-3, and Physicalmind teacher trainer. Currently I am learning Rossiter Bodywork, an active assisted stretching technique to help my clients resolve pain quickly. The study of movement is fascinating, and I consider my students to be my real teachers. I can’t think of anything more rewarding than helping people discover how to feel more at home in their own bodies, and confident in the way they look and move. The focus of my practice is therapeutic pilates for spinal conditions. I am a former gymnast with several spinal fractures and disc injuries, so I can relate to chronic pain. Pilates is a crucial part of keeping my own body healthy and pain-free. A typical session with me will include pilates for overall strength and awareness, and the ELDOA Method to address specific spinal segments that may be compressed or damaged. Learn more about ELDOA here. My guiding principle is that exercise really does not have to be extreme to work magnificently. I want to help my clients shift from a “more is better” mindset to a “less is more” mindset. You have ONE BODY, and it will be your home until the end. Do pilates to take better care of it. I am unable to teach introductory private sessions at this time. For more on my methods, please check out my 12-Week "Break Free From Back Pain" course. Tasha has a background in fitness and dance. She obtained her STOTT Pilates teacher certification in 2013 and is certified to teach mat, reformer, Cadillac, chair and barrel work. She is also trained in Injury and Special Populations and has experience customizing workouts to address weaknesses, health conditions, postural problems and injuries. She has been teaching both group and private clients for the past 6 years. Tasha is a certified Ballet teacher with Royal Academy of Dance and has taught dance for over 15 years across Canada and the U.S.
Tasha loves the mind body challenges that Pilates provides. She is currently pursuing further education in the advanced Stott Pilates course work. Most recently she has become a certified Total Barre instructor. She resides in Southlake with her husband and two sons. Amy Hinkel has been a licensed Physical Therapist since 2000. A group fitness instructor since 1991, she has taught a variety of formats including Pilates mat, yoga and spinning. She received her Reformer certificate from Balanced Body in 2011 after joining an Atlanta physical therapy private practice where she used Pilates apparatus for therapeutic exercise. Once discharged from PT, her patients commonly transition into Pilates clients in order to maintain wellness. Originally from Charleston, SC, Amy relocated to Southlake from Atlanta with her husband and 3 children. She has a passion for wellness and nutrition and loves to stay fit through Pilates, yoga and Crossfit. Sami Amosson has practiced Pilates for many years and is an avid believer that the method provides a truly transformational process for the mind, body and spirit. She enjoys teaching students of all ages and experience level and loves being able to share the lifelong health benefits and mental focus that Pilates offers. 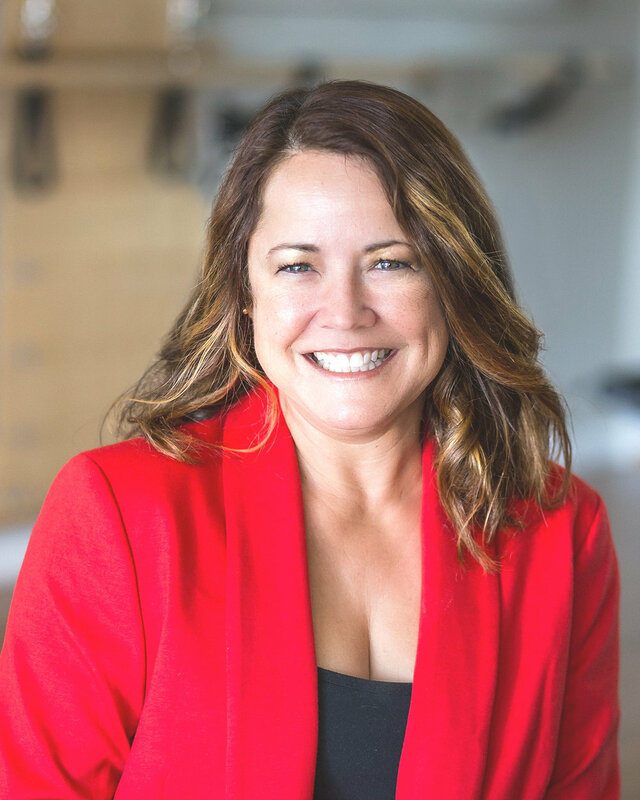 She holds a comprehensive instructor certification in Mat, Reformer, Chair and Cadillac which she earned through Peak Pilates in Dallas, Texas. She is a native Texan and has been a resident of Southlake for the past 15 years. She earned a B.A. degree in Business Administration from Baylor University and worked as a Human Resources Representative before becoming an instructor. In addition to Pilates, Sami enjoys spending her free time with her husband and their two daughters. Stephanie Boyer fell in love with Pilates a few years back after stumbling in to Purely Pilates Southlake a few years ago. In search of a fitness regime to balance the effects of only running, Stephanie found Pilates to be the much-needed balance of core strengthening, joint stabilization and flexibility she had been lacking. Stephanie was inspired to purse her Pilates Certification from the knowledgeable instructors at PPC. She is currently working on her Comprehensive Pilates Certification through The Physical Mind Institute under the instruction of Stephanie Vanderbeck. Stephanie has a Bachelor of Science in Business Administration and also works in Dallas as a Project Manager for an efficacious skin care company. You will find her happily sharing her passion for Pilates with others in the early morning hours and some weekend classes at PPC. 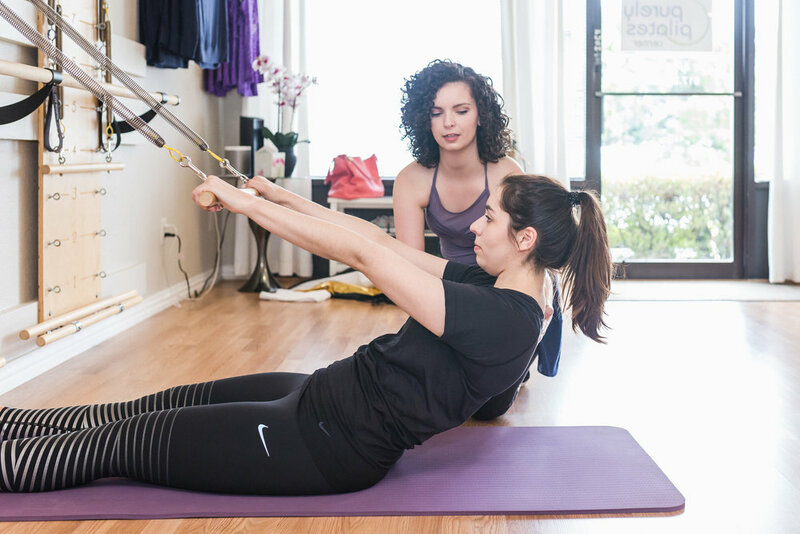 Discovering her passion in the Pilates Method has been life-changing, and as an instructor, she truly looks forward to helping every client realize the benefits of Pilates. Certified Pilates Instructor- Pilates Method Alliance - Tensile Strength Studio, B.S. Degree from National University majoring in Criminal Justice. Nicole has over five years experience teaching Pilates as well as working with clients with contraindications including: hip/knee replacement, Labral tears (hip and shoulder), spinal fusions, lower back pain, shoulder injuries, scoliosis, spondylolysis and fibromyalgia. Nicole is studio manager of Purely Pilates. Katherine French got started in Pilates back in high school. As a serious runner, she practiced Pilates as a way to gain strength and prevent injury. In 2007 Katherine obtained her STOTT Pilates teacher certification in mat. Katherine was inspired to continue her pilates education during her time as a prenatal pilates student at Purely. She completed her comprehensive apparatus certification through Physicalmind Institute at Purely Pilates. Katherine has a background teaching math to elementary and middle school students, as well as teaching zumba and high rep weight lifting classes. She enjoyed participating in modern dance throughout college, and she loves the beauty and freedom of all kinds of movement. Katherine currently lives in Flower Mound with her husband and new son. She is excited to help clients reach their goals, and to help show them how much they are capable of. Katherine teaches prenatal classes here at Purely. Ashtyn Campbell was born and raised in Fort Worth, Texas. She graduated high school a year early and was accepted into INGREDIENTS DANCE COMPANY (aka DANCE REVOLUTION) as a Trainee. There, she trained in multiple styles of dance, performed, and toured to her heart’s content. She delights in teaching several styles of dance (ballet, jazz, musical theater, and partnering) and taking dance classes around the metroplex. She continues to study at Gayle Corkery School of Ballet under world renown teachers, Gayle Corkery, Carrie Cheng, and Li Chou Cheng. Her goal is to equip her own students with proper technique and build their confidence in a fun, safe, classroom setting. Ashtyn has always been a fitness enthusiast. She recently fell in love with Pilates, its benefits, and the overall body awareness it requires. She’s noticed a difference in her dance technique and strength since taking Pilates. She completed her Pilates apparatus certification through the Pilates Physical Mind Institute training under Studio Owner, Stephanie Vanderbeck. She is also a certified Total Barre Instructor. When she’s not teaching, you will probably find her in a ballet, jazz, swing, or salsa class, performance rehearsal, or participating in a local musical. She recently starred as Margy Frake in Artisan Center Theater’s showing of STATE FAIR and Ariel Moore in Gateway Church’s Christmas Musical, CHASING LIGHTS. Furthermore, she enjoys being a counselor at a crisis pregnancy center, jazzercise, singing, decorating, cosmetology, traveling, reading, cooking, shopping, and being a cafe barista.